Starring Mel Gibson as Thomas Craven, Edge of Darkness is a remake of the 1985 British mini-series of the same name and is directed once again by Martin Campbell. 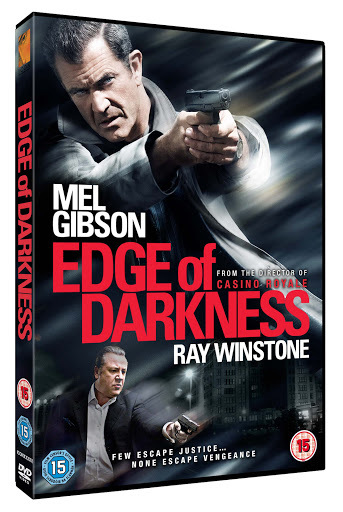 Edge of Darkness tells the story of a homicide detective whose daughter is shot to death on his doorstep and the journey he takes to discover the truth behind her murder. Thought at first to be a retaliation from one of Craven’s collars and that he was the intended target, it soon emerges that his daughter Emma Craven was involved in a much more serious situation than he had ever imagined. As he pieces together the parts of her life that he knew nothing about, Craven learns that his daughter was an activist who led a secret life and was working to expose corruption and conspiracy in a local company called Northmoor. Emma had discovered that Northmoor were producing untraceable nuclear weapons to be used in Black Ops overseas and traced back to foreign nations and this knowledge led to her death. The original television series was a grim and dark affair that captured the depression and hopelessness of Thatcherite Britain in much the same way that the Red Riding trilogy did last year. The film attempts to capture that oppressive atmosphere but is somewhat let down by its weak plot. Perhaps the idea of government sanctioned plots to produce dirty bombs and manufacture secret nuclear weapons has been overdone in films in recent years but I found the storyline to be quite mundane. In addition, the measures that the Northmoor executives took to kill the activists (effectively killing Emma twice) only served to draw attention to the company and its activities and the storyline is simply too hairbrained to be believable. Had they based the film on a less generic crime with more intelligent criminals, it might have worked. Another problem with the film was the pace. The film features several scenes where Craven interacts with the ghost of his daughter, both hearing her voice and seeing her as a little girl again. I imagine that these scenes were intended to be tender but they only served to slow down an already painfully slow-moving plot. 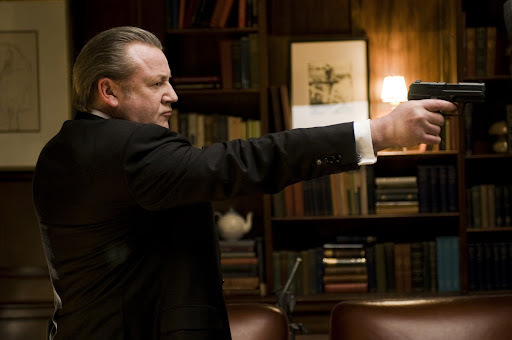 Ray Winstone and Danny Huston support Mel Gibson as the CIA operative Darius Jedburgh and Northmoor executive Jack Bennett. These are fine actors with impressive resumes but nothing about their performances in this film made much of an impression on me. The film was co-written by William Monahan who wrote the screenplay for The Departed but the film seemed to be missing the clever script that The Departed had. The film felt clinical and it seems Campbell tried so hard to capture a certain atmosphere and setting that in the end he lost it completely. There is a certain level of suspense throughout the film but the end result is that you go through the motions with Thomas Craven as he mechanically picks up the clues and plods through a weak plot to arrive at a rather predictable end. There was a slight twist at the end, granted, but by then I kind of just wanted the film to end. 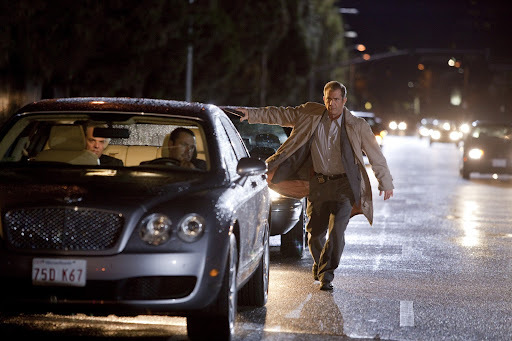 It is surprising really as Martin Campbell has succeeded in the past with Casino Royale and the original Edge of Darkness series but he certainly seemed to miss the mark with this film. Edge of Darkness was ultimately disappointing and especially so as we’ve come to expect so much more from the director, screenwriter and actors involved. I’d give the film one and a half stars out of five. The region 2 release of the DVD includes an audio commentary with director Martin Campbell; nine featurettes including “Mel’s Back”, “Revisiting the Edge of Darkness mini-series”, “Adapting the Edge of Darkness mini-series”, “Edge of Your Seat”, “Making a Ghost Character Real”, “Craven’s War of Attrition”, “Director’s Profile”, “Scoring the Film” and “Boston as a Character” and deleted scenes. The DVD will be released on June 14 in the UK. 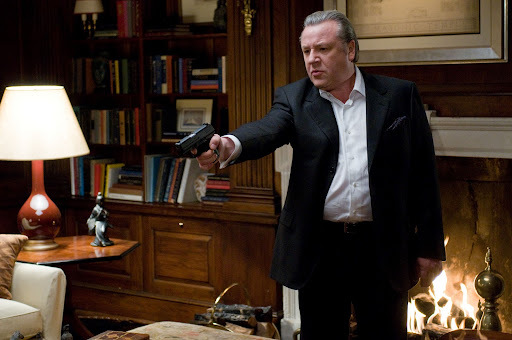 Article first published as DVD Review: Edge of Darkness (2010) on Blogcritics. I was provided with a copy of the DVD for preview and all opinions expressed herein are my own.